Stop turning up when there is no wind. Chugging around the bay is good practice for uphaul starts and slow jibbing but it is time up on the foil that has to happen next and did not happen this weekend. Gently does it and don't over-react. 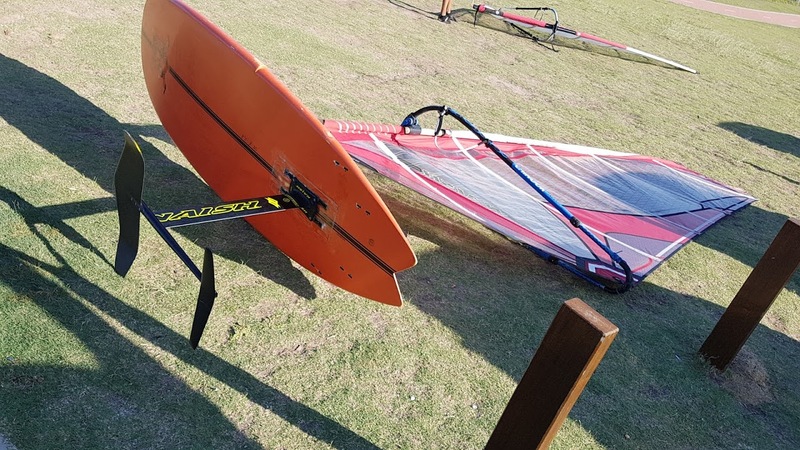 On the first wave I paddled onto on Saturday the foil started to lift and I let it up; stalled crashed down and got straight back up too high then stalled again.